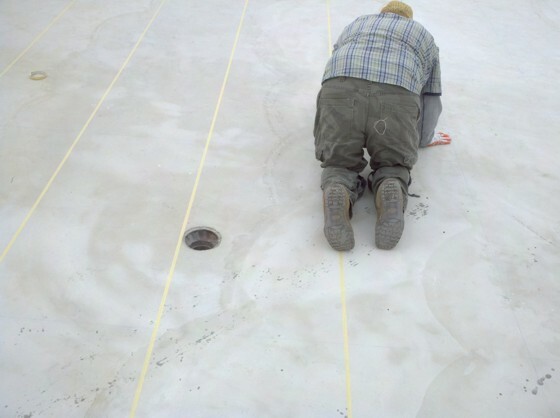 Bill Leys sent in pictures of a roofing job that his company did in California. A condo building had a leaky roof. Well, I will let Bill tell the story. Here's a job done by my company, Central Coast Waterproofing. We are specialty contractors out of San Luis Obispo, CA. 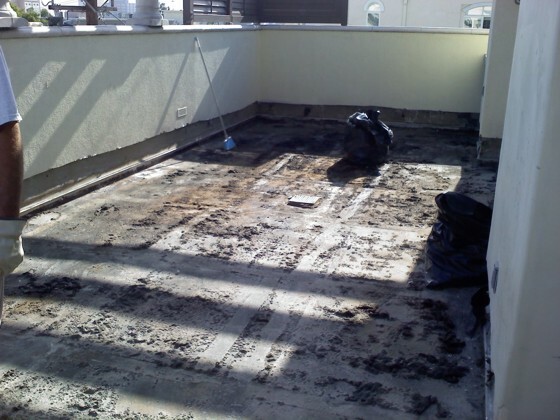 We travel the state repairing and waterproofing roof decks over living space. This job is a 30 unit condo building in the Los Angeles neighborhood of Brentwood. 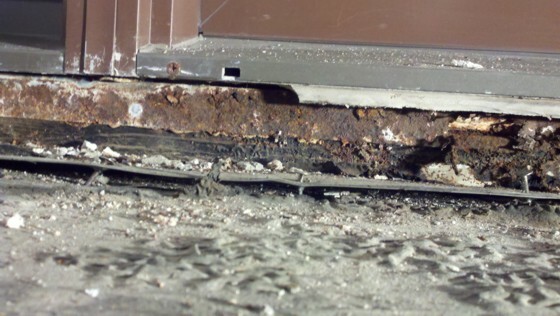 It's 3-years old and the tiled roof deck originally installed leaked from the first storm after the building was occupied. 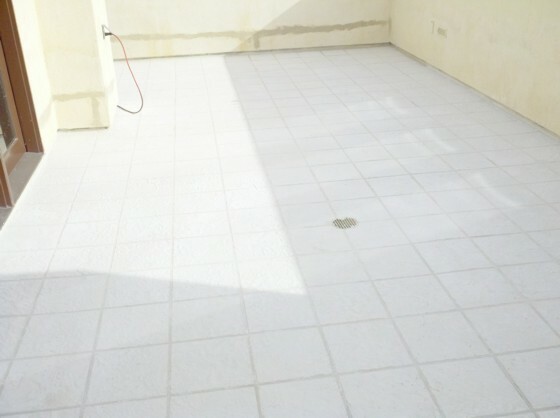 The developer's insurance company paid to have the tile and mud bed and waterproofing removed to the plywood, all new flashings, scuppers and floor drains were installed. Then we installed Hill Brothers Chemical Co. Desert Crete pedestrian traffic coating to 3500 square feet of area. 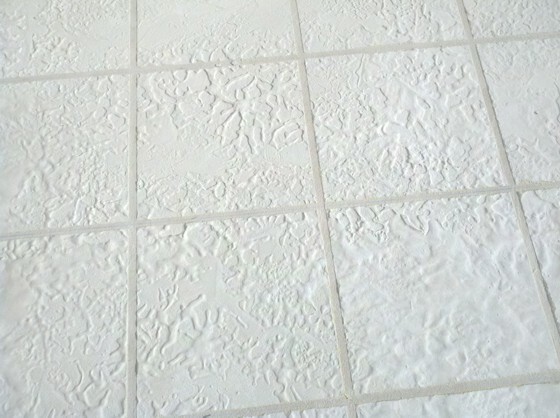 Then we stamped the waterproofing to look like tile. Desert Crete is an ICC-ES evaluated decking system that is Class A fire rated as a roof and is One Hour Rated as a fire barrier between ceiling and roof. The general contractor was Cal Building & Maintenance of Hawthorne. 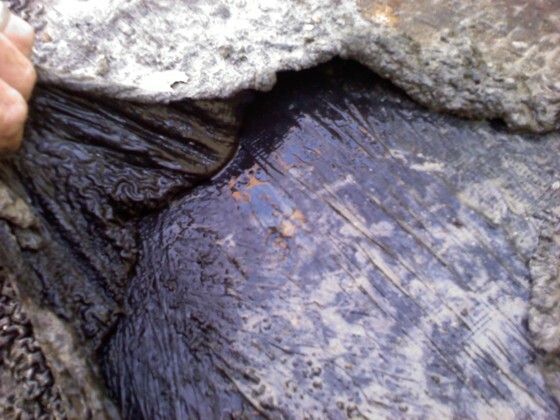 Shortly after the completion of the work, Los Angeles received some of the worst rain in recent years (March 2011) and the roof passed the test! Not one leak occurred." Thanks, Bill. Below are four before and four after pictures of the roof replacement. If you want to submit pictures and the story behind your project, CLICK HERE to go to the Before & After Submission Page.